12 Cute Heart Shaped Necklaces for Her! 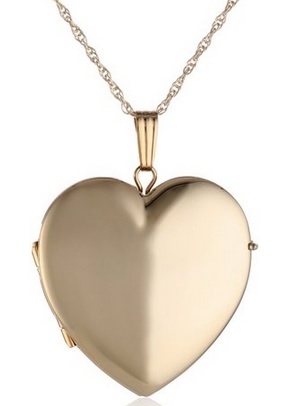 Girly Women LOVE Heart Pendants! 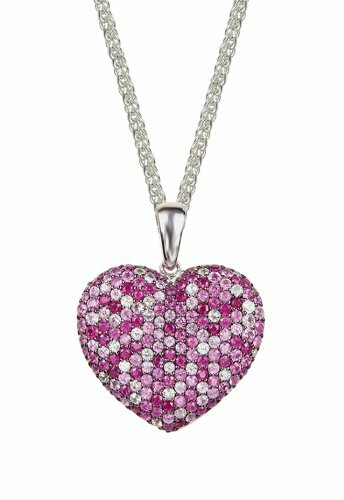 One of the best and most romantic jewelry gifts you can ever give to your girly woman or girly teenage daughter is a cute heart necklace! They are very romantic and they spell LOVE, don’t you think? They are perfect birthday gifts for moms and girlfriends too! I LOVE picking cute heart shaped necklaces and showing them off here! My favorite ones are the sparkly ones, full of encrusted diamonds or the pink and red ones! They are so very romantic! *The one you see on this picture is a gorgeous and very sparkly pink sapphire and rubies heart necklace! I hope you’ll enjoy all the cute hearts from here! 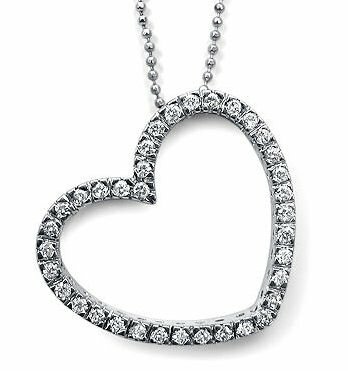 Hoe sparkly is this gorgeous heart necklace ladies? It is full of sparkling diamonds!! Can you see it on your wife’s neck already? We love to wear sparkling necklaces because they stand out! It is the Titanic heart necklace! Can you hear the Titanic theme song playing already? 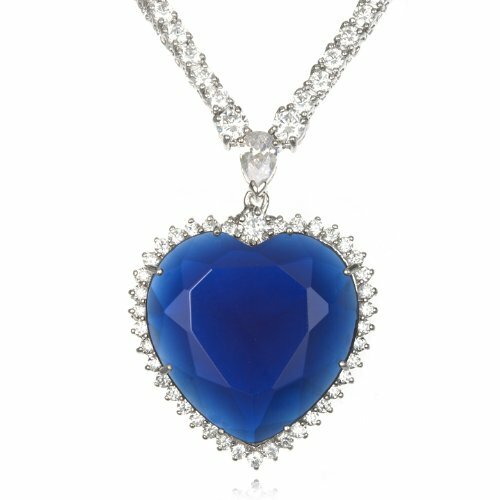 Now you can give your lady the blue ocean heart necklace too! It is also very affordable guys! What a great and super romantic gift for her! 14k Yellow Gold Created Ruby Heart Devil Pendant Necklace! 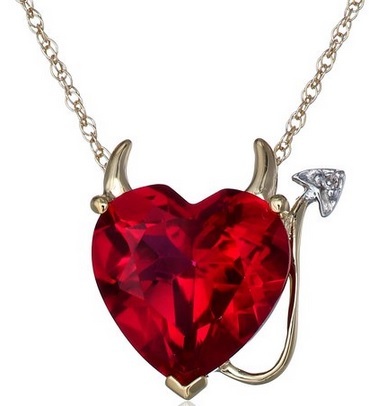 Fun Ruby Heart Devil Necklace for Women! I had to show you this cute, fun and very creative created ruby heart devil pendant necklace! It’s one of the most popular heart shaped necklaces being bought! This is another favorite of mine and I can’t stop staring at it! You can put the best pictures of you! Wonderful romantic gift idea for women! What an explosion of colors!! 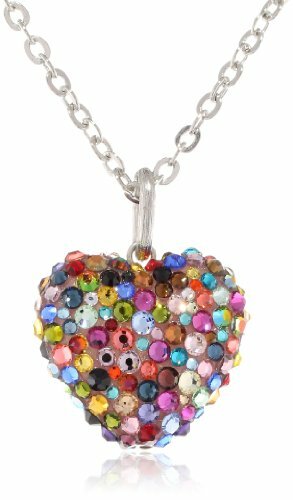 How cheerful and unique is this multi-colored heart necklace? Can’t get any more fun and girly than this! This one also caught my ‘girly’ eye! 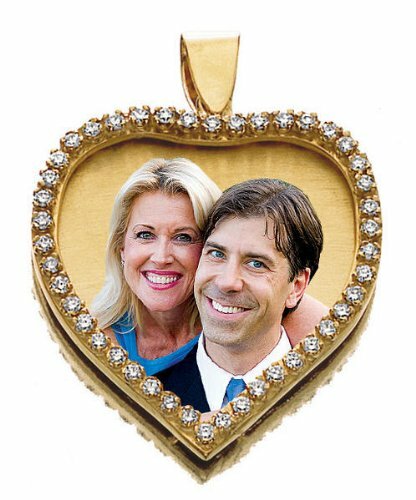 It’s a very unique yellow gold heart shaped picture necklace full of diamonds around the heart! Will make a wonderful gift to a very special lady without a doubt! You can choose between yellow gold or white gold! This is also one of my favorite heart shaped necklaces for sale! It is a HUGE heart diamond pendant! It will look very, very beautiful on her neck! Will always stand out, no matter what outfit she is wearing! 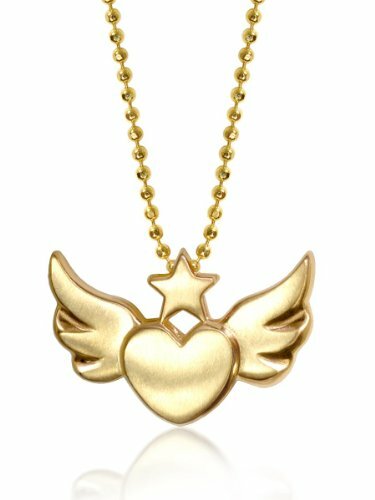 How girly and adorable is this heart with wings pendant necklace for sale? Will make such a lovely gift idea for your girly girl! 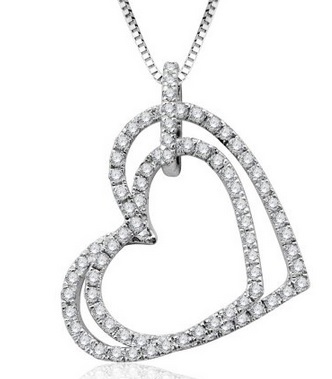 Interlinked Twin Hearts Diamond Pendant! This is a gorgeous and very romantic sparkly moving double heart-shaped necklace pendant in a super cool and modern design! It does come with the chain included! Will definitely stand out on her neck! Great birthday or anniversary gift idea for any girly lady or girly girl in your family! Very Romantic LOVE YOU Heart Pendant for Her! 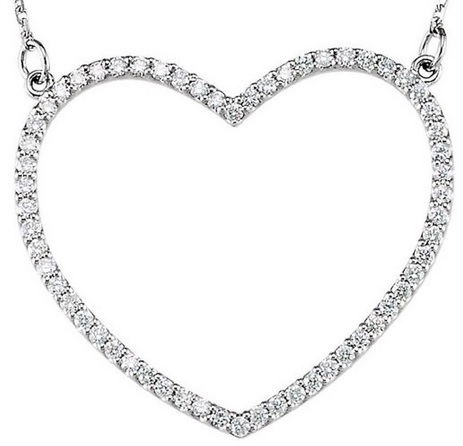 This is my favorite most romantic heart shape necklace for sale ever! 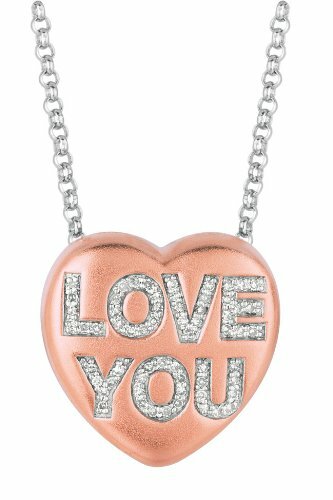 It is in a beautiful rose gold color and set with sparkling diamonds that spell LOVE YOU! 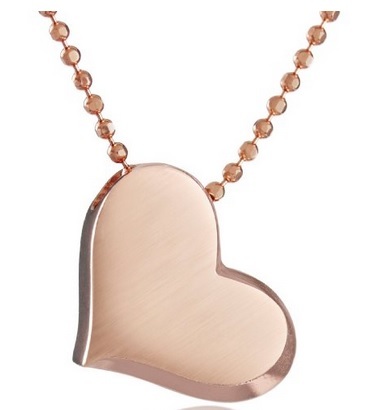 Another favorite of mine is this lovely and very girly 14K rose gold Alex Woo heart pendant necklace for sale! It is perfect for teen girls too! It has a very cute design and a lovely shape! It stands out beautifully on the neck and it goes well with anything! *I hope you liked my selections of cute heart shaped necklaces for girly women! Here are my top favorite heart shaped earrings!